Statement from the James Connolly Society Scotland. 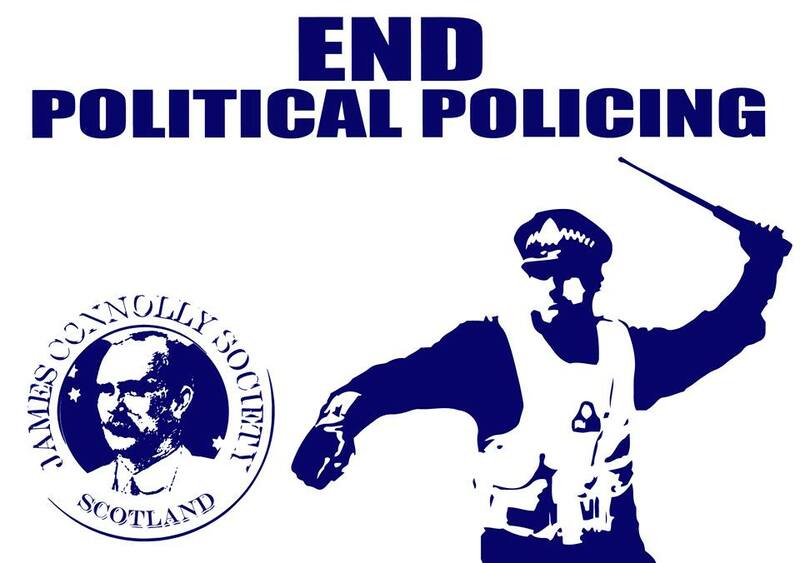 The James Connolly Society condemns the ongoing campaign of harassment and intimidation by Police Scotland against our members. Such political policing is nothing new it is however wrong and counterproductive. Over the last few days our members have again be targeted by the Met of the North. One of our young members had his parents house raided by several officers at 1.30am. Another member’s employer was visited at his home at 7am and questioned about his employees political activities. Both JCS members were also arrested and questioned about the James Connolly Society. Such behaviour just highlights the extend to which Police Scotland are a political force out of control. We again demand accountability and transparency in policing. Until that time the JCS will continue to log incidents of political policing. We will continue to stand with working class communities who bear the brunt of such state repression. The James Connolly Society is engaged in legitimate political activity across Scotland and campaigns, with others, across a range of issues. The mistreatment of our members only makes us more determined. 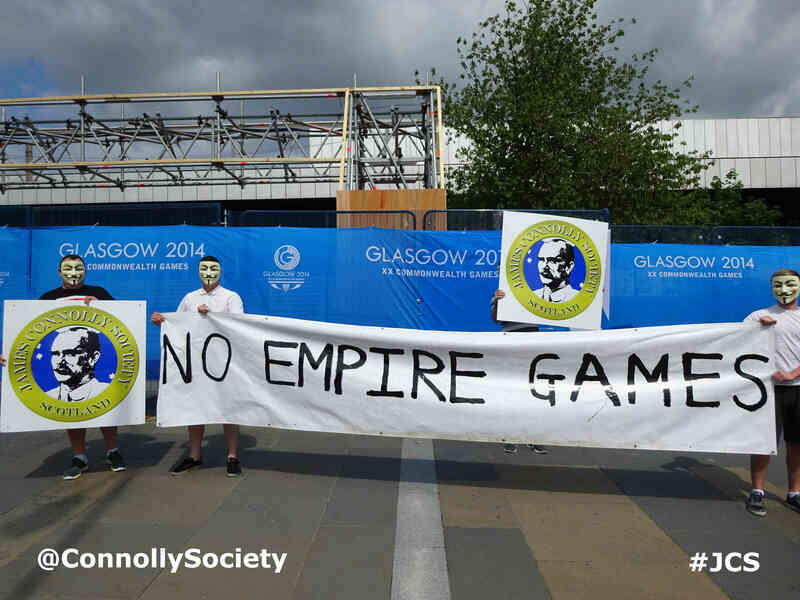 Today the JCS held protests against the Empire Games at various Games venues throughout Scotland. These protests were a long time in the planning and preparation. However they should serve a a timely reminder to our political opponents that their harassment and intimidation will not deter us. We remain committed to moving Connolly’s politics from the periphery to the centre of political life in Scotland. We will continue to oppose racism and sectarianism. We will also continue to expose attempts by the British state to rebrand their imperialism. I’m very interested in the political affairs of scotland and Ireland and would like to become more active in this struggle for indepence. Please inform me how I can help the jcs. The JCS membership information can be found on their website at the link below. If you have any questions please feel free to email.